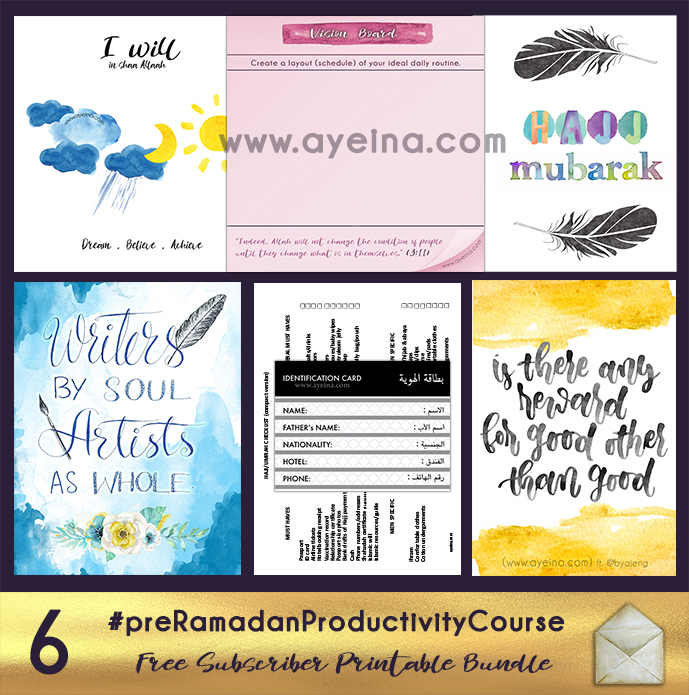 We started this 7 month Pre-Ramadan Productivity Course in the start of October (And if you will be reading this afterwards, this is the 6th month of #preRamadanProductivityCourse – as a detailed guide on the PRODUCTIVITY JOURNAL FOR MUSLIMS – although you can choose any topic in any month or week, this is simply how we did it and we hope that it helps make things more clear and doable for you in shaa Allah). 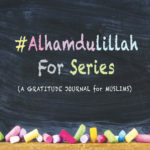 Since we pick out 1 section from each category in the journal each month (we will do this till April 2018 in shaa Allah): 1 from Spiritual Development, 1 from Personal Development, 1 from Strengthening Relationships & 1 from Goals and Dreams – In March 2018, we picked topics of discussion like: Hajj Budget Plan (to help us track our finances so we can save money for Hajj), Health Goals (defining our daily, weekly and monthly goals on our physical health as an extension of our previous challenge ‘self care’), Social Life Tracker (strengthening positive influences around us and subtracting toxic people from our life (online or offline)) and Bucket List (making a list of dreams and experiences you want to achieve in life). 1) We have a luxurious lifestyle and we can’t compromise on that to be able to save for Hajj. 2) We have no set plan on how to save for this very important obligation. 3) We think we have a lot of time in our lifetime and one day (when we are old), we will go do the hajj. 4) We don’t know the importance of this basic pillar of Islam and hence keep delaying it. 5) We don’t know how to shop smart and think we can’t reach such big goal with such small savings. (Hence we keep waiting for a large sum of extra money). 6) We have huge amount of debts and installments/mortgages etc. to pay off. And since Hajj can’t be done on loans etc., we are stuck in the situation for a long period of time. Sometimes generations are born with the burden of debt on their shoulders. 7) We think we lie in the category of those on whom there’s no obligation because our financial situation isn’t the best one. Are you buying things you don’t need? From the money you don’t have? To impress people you don’t like? If you’re nodding because that last line was too brutally honest, then it’s time to reevaluate whether you can spend for something more important and deep in life instead? An average cost for marriage is above $20,000 USD approximately while the average cost for hajj is approximately $10-20,000 USD. 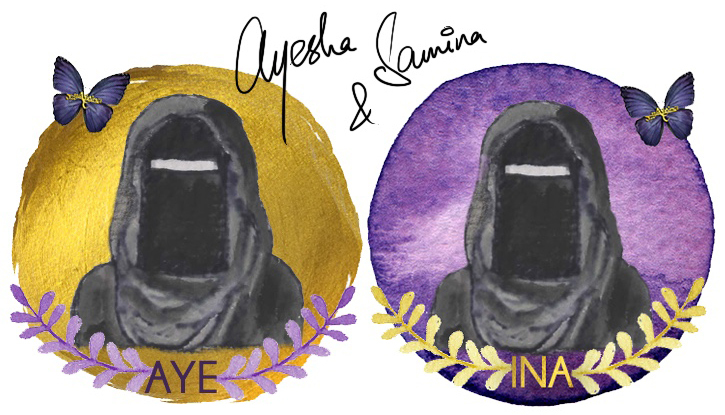 I know marriage feels like once in a lifetime kind of an experience, but so is hajj. And even though they are not interrelated really, but just saying…if we are able to save so much for a marriage ceremony, in shaa Allah we will find ways to save for this obligation as well. And not to mention, each time you save even a penny, you will be rewarded for your intentions and efforts. That’s the beauty of our religion subhaanAllah! We get rewarded even if we are not able to achieve the desired results. We get rewarded simply for thinking of doing a good deed! Alhamdulillah. Challenge 2 from *Personal Development* was “Health Care Goals” in #preRamadanProductivityCourse – not only for yourself but also for kids as healthy eating habits are rare in such era where junk food is readily available at such an affordable price while healthy organic food takes double the amount from your pockets. The more the temptation of unhealthy snacks around, the more they’d want them! You have to be their role model! Children are new-food-phobic by nature so one step at a time! ❤ May be start with adding them in smoothies and cakes etc. and then shift to the raw form later. Most children need multiple exposures (between 5 and 10) to try new foods. 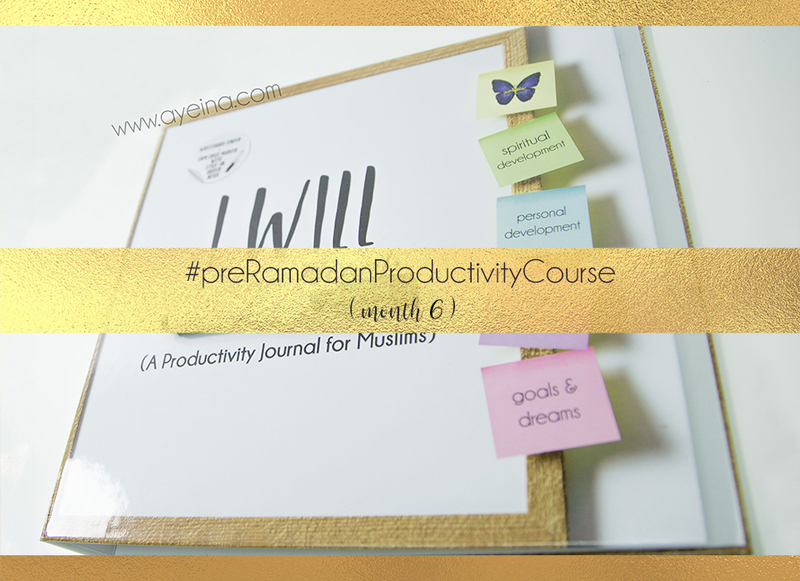 Challenge 3 from *Strengthening Relationships* was “Social Life Tracker” in #preRamadanProductivityCourse – SOCIAL LIFE TRACKER is all about strengthening positive influences around us and subtracting toxic people from our life (online or offline). الْمَرْءُ مَعَ مَنْ أَحَبَّ – Whenever you admire someone deeply, ask yourself – am I willing to be associated with them when I stand in front of Allah? الْمَرْءُ مَعَ مَنْ أَحَبَّ – Whenever you compare your life to someone because you absolutely love it (or perhaps a part of it), question yourself – would I be ok to be with them on the day of judgement? 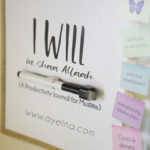 الْمَرْءُ مَعَ مَنْ أَحَبَّ – Whenever you wish to be like someone, ask yourself – am I willing to be resurrected with them? Business ventures aren’t really about making money. But starting a business provides an invaluable life experience for kids, plus it develops very practical skills like organization, problem solving, sense of responsibility, strong work ethic, communication and management skills, decision making, planning, importance of working hard, learning through failures, halal earning, charity, clarity & creativity. Under the age of 15, it is hard to find ways to earn money. You can’t drive, are too young to be hired by a restaurant or business, and it’s still risky to sell to strangers without a trusted adult around. So how do you help your kids turn their passions into a business? 1) HELP THEM BE SELF AWARE! We already discussed this in the self awareness challenge. Let them take the lead, but offer support and guidance along the way. The very first thing is brainstorming with them while letting them figure out what they may like to do (whatever they’re passionate about). Resist the urge to say things won’t work or that no one would pay for their idea. This process is a learning experience; the end result doesn’t necessarily matter. They should know how to make decisions (you don’t have to decide everything for them). It’s okay if they fail or don’t turn a profit. It’s all part of the learning experience. Getting knocked down & finding a way to get back up is the experience of every successful entrepreneur. Talk about business plans & money management. Your child won’t learn how to track expenses & revenues etc. in school, so you can fill in that gap. Kids are notorious for asking gazillion questions a day but let’s turn the tables and ask them questions to help them identify and solve problems. In some cases, these problems have existing solutions and the entrepreneur builds a better one. While in other cases, the entrepreneur will identify a problem that society didn’t even know existed, and invent a product or service accordingly. As a parent you will find many opportunities to encourage solution-oriented creativity. They should write down their goals for the business, including both financial goals and anything else they want to achieve. Younger kids can practice adding up price totals and counting change. Have them itemize all their upfront costs, so they know exactly how much is needed. You could offer to fund a certain amount, as long as they contribute some of their own eid money or so. 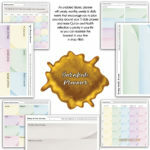 1 – Vision Board (to motivate yourself to work on your bucket list). 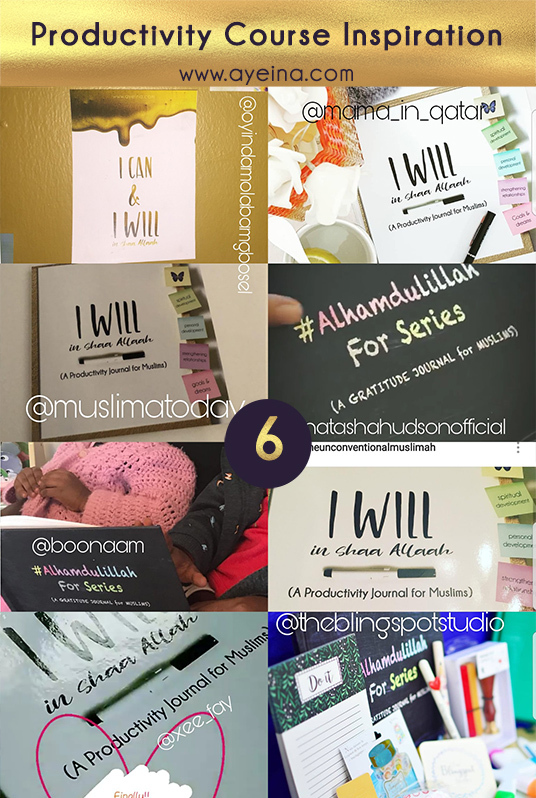 2 – motivational poster to go along with it (#iWILLinshaAllah) – I WILL in shaa Allaah Dream, Believe, Achieve. 4 – a black and white hand lettered verse “Is there any reward for good other than good?” with yellow watercolor background – [Qur’an 55:60] (by @byajeng).